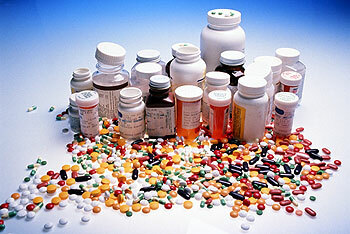 In the United States, health care providers wrote 259 million prescriptions for opioids in 2012, USA Today reports. Through a series of policy changes, the state of Florida has finally managed to get a hold of their prescription drug problem, according to a new government report. Last year, after closing about 250 pain clinics, known as “pill mills,” the number of high-volume oxycodone dispensing prescribers dropped from 98 in 2010 to none in 2013, the CDC reported. Florida created new laws for regulating pain clinics and built a new prescription monitoring program. As a result the number of opioid overdose deaths significantly decreased and the report indicates that the numbers are still falling. “These changes might represent the first documented substantial decline in drug overdose mortality in any state during the past 10 years,” the report points out. Other states have not had the same success as Florida; Alabama, West Virginia and Tennessee still have high prescription opioid rates, according to the report. More states need to implement prescription drug monitoring systems and link up with systems from other states. This would prevent doctor shopping across state lines and significantly reduce the number of pills prescribed.